Raccoons are excellent role models for anyone looking to get a head start in their career. "Look over there, a job posting!" Well, I’ve never really been one to make perfect sense all the time, so at the risk of being “outlandish,” allow me to explain why you should look to this wonderful, adorable animal as an inspiration for your career. I recently watched the BBC show “The Life of Mammals” (narrated by David Attenborough, who I’m sure could make a documentary about watching paint dry sound interesting). 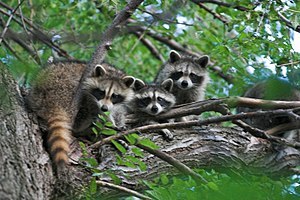 In one episode, called The Opportunists, I learned quite a bit about raccoons, and how truly special they are. As omnivores, raccoons can eat just about anything, a trait that has allowed them to succeed both in the wild and in large cities. 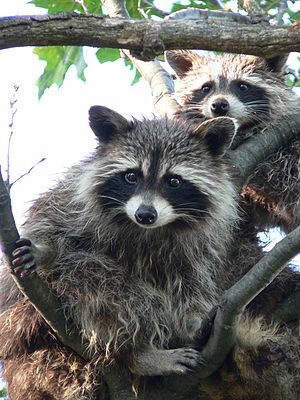 Where other more specialized species have dwindled in times of hardship (the Panda bear being the flagship example), raccoon populations have continued to flourish due to their innate adaptability. Given the rapidly changing nature of the world of work, what’s more desirable a trait than adaptability? To flourish in times of uncertainty, be an opportunist: take advantage of whatever you can, whenever you can. If something comes your way that was totally unpredictable (which is guaranteed to happen sooner or later), always ask yourself: how can I take advantage of this? Another thing I learned about raccoons from BBC: they have such an incredible sense of touch that they are able to “see” their environment by touching things as accurately as a human can by looking with their eyes. More of their brain is devoted to their sense of touch than any other animal studied. So, while raccoons’ eyesight is actually quite poor, especially at long distances, they focus intensely on their immediate surroundings and are excellent at navigating the spaces around them in the best manner possible. They can tell, for instance, the difference between a rock and a clam in near-freezing water. The raccoon doesn’t worry about any sort of long term plan; it is the master of taking what’s in front of it and using it in the best way possible. Anyone that’s read even a small chunk of my writing knows how I feel about long-term career plans. They are of little value at the best of times, and the belief that they are necessary can cause undue amounts of stress and foster harmful limitations at the worst of times. Nonetheless, we are encouraged to have a plan, to look as far as the horizon and allow the blurry shapes in the distance to determine what path we take to travel there. Nevermind that what we thought might be mountains could turn out to be clouds – what about our ability to focus on what’s right in front of us? For many, this ability is hampered when focusing excessively on the long-term. Would you walk around with binoculars strapped to your head and expect to be able to navigate life effectively? When it comes to your career, it’s far better to be short-sighted, with a great sense of touch. "$10 says I can get that guy's Japadog"
Raccoons are damn cute, there’s no question about that. They also happen to be surprisingly intelligent: in experiments they’ve been shown to remember solutions to problems for up to 3 years. They also have comparable learning speed to macaque monkeys. What this all adds up to is that a raccoon can manage its relationships with people quite effectively. Have you ever been to Stanley Park in Vancouver, or a similar tourist-laden park elsewhere, and observed the raccoons having their way with the people there? Despite widely posted signs discouraging people from feeding them, raccoons thrive in places like these thanks to their ability to charm people into feeding them without getting too close to endanger themselves. When it comes to the mechanics of success in any career (i.e. looking for a job), basic interpersonal skills are essential. Creating relationships with people who might be able to advocate for you or provide a helpful referral is pretty much Job Search 101. Additionally, it’s beneficial to have a critical nature – you have decisions to make before accepting a job offer: according to what you know, is this opportunity a good one? Being savvy enough to know when you’re being taken advantage of is as important as knowing when to take advantage of an unplanned situation. In other words, if people are going to feed you, take the food – but only if they’re not holding a net behind their back. Yes, raccoons are a wonderful creature – and as worthy of praise for their career-navigation skills as any other creature I can currently think of. So, let us appreciate the greatness that is the raccoon, and think of them the next time we’re pondering our next career move. I just love the little guys.